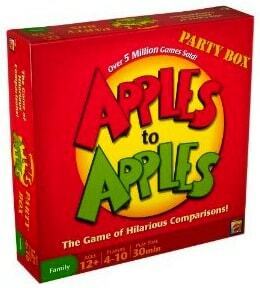 Apples to Apples Party Box Game Just $15.98, Eligible for Free Shipping! The current price of $19.98 (before coupon) is already-discounted. That means that the final price of $15.98 is 41% off the regular price of $27! Shipping is free if you have Amazon Prime or if you spend $25 or more.